Louisiana is one of the last stops on the Mississippi Flyway, a highway of sorts for North American birds heading south for the winter and returning home every spring. Migratory birds are traveling this interstate right now, pausing in our state to fuel up for the long trip through Texas or across the Gulf of Mexico, so it’s likely you’ll see all kinds of colorful species making their way toward Mexico and Central America. And that includes hummingbirds. Stand near a colorful flower known to appeal to the tiny, fast-moving birds and a hummingbird may appear within minutes. While fall may be alluding us as far as temperatures go, we know we’re close to autumn when the buzzing hummingbirds come to visit. But you don’t have to stand near a flower and hope for the best. There are easier ways to spot hummingbirds and have fun in the process. The annual Feliciana Hummingbird Celebration will be Saturday, Sept. 15, at the 400-acre National Wildbird Refuge at 15736 Tunica Trace (Louisiana Hwy. 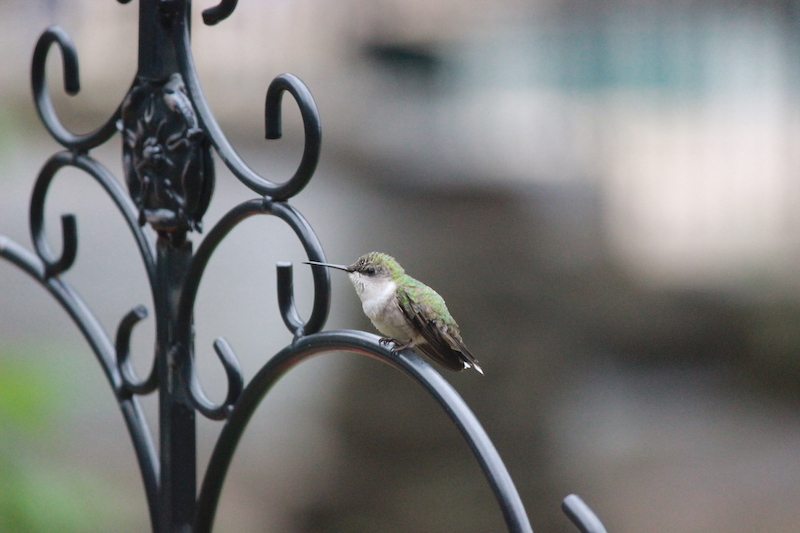 66), considered one of the best spots to witness hummingbirds. Bird expert Marty Floyd will be on hand from 7 a.m. to 3 p.m. to capture and band the tiny ruby-throated hummingbirds for migratory research, while visitors watch the process and learn more about the birds. Some may even get the chance to hold one in their hands! Admission to the Feliciana Hummingbird Celebration is free and includes birding exhibits, vendors selling items such as hummingbird plants and Wild Birds Unlimited, which will lend out birding equipment such as binoculars. To reach the festival, take Highway 61 through St. Francisville and continue north. Turn left on to Louisiana Hwy. 66, otherwise known as the Tunica Trace. For more information, visit stfrancisvillefestivals.com. Baton Rouge Bird Walk at the Bluebonnet Swamp and Nature Center, 7 a.m. to 9:30 a.m. Saturdays, Oct. 6 and Nov. 3. Bird Hike at the Louisiana State Arboretum, 9 a.m. to 10 a.m. Saturday. Oct. 13, Ville Platte. Yellow Rails and Rice Festival, Oct. 31-Nov. 4, 2018, Jennings.